First album? We all had one right? Musicians are obviously no different, so we decided to confront a few of them to find out what they had to say on the subject. Have a read and let us know what your first album was! Even if that includes PJ & Duncan. Let's get ready to rumble... Al â On Histories of Rosenberg The Beach Boys: Pet Sounds Erm, this is difficult, ha...brushing neatly aside the more embarrassing novelty singles that, for some reason, remain dotted around my parents house (Mum, why do we still own Blue Da Ba Dee Daba Dii by Eiffel 65?) 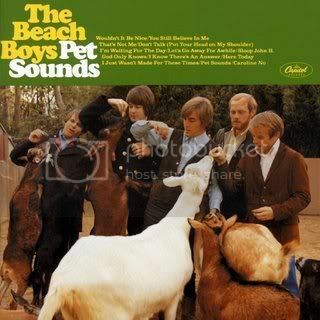 I'd say The Beach Boys' record Pet Sounds was one of the first real records that had any impact on me, whether I realised it at the time or not. I remember its sounds reverberating through my childhood home on a regular basis - my father's musical tastes remained mostly in the late 1960s long after the decade had drawn to a close and he raised me well! But amongst Buddy Holly, The Beatles and countless others, it is Pet Sounds I think I recall most. Okay, my affinity with the album and the whole Brian Wilson canon wasn't exactly immediate - I was six and probably fairly confident that music as a medium would benefit from less songs written about the complexities of contemporary romance and more about football / dinosaurs. But I kept coming back throughout my youth to songs like 'Caroline, No', 'Sloop John B' and obviously the classics - I defy anyone to not drunkenly sing along to 'God Only Knows' or 'Wouldn't It Be Nice' word for word at a house party (though I hope your renditions are less clumsily sung than mine, ha). Both catchy, hook-laden pop songs and yet ever modulating baroquesque complexities of composition. On Histories Of Rosenberg, incidentally, sound absolutely nothing like this and therefore this is possibly the most redundant, least insightful mini-article ever to grace the pages of this fine website. Sorry, the 405. But thanks for letting me rant - I'm gonna throw Smile on now! 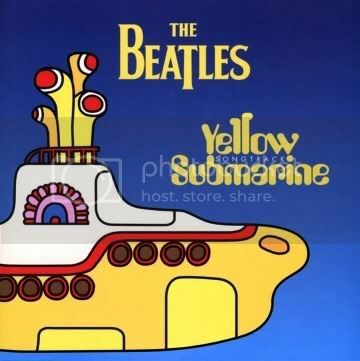 â¨ Andy Harris â Haunted Stereo The Beatles: Yellow Submarine/Rubber Soul When asked about my first album, I cannot give a straight answer â because â¨technically I only owned The Beatles' Yellow Submarine for two hours. â¨I was ten years old and my sister and I had recently discovered a pile ofâ¨ my fatherâs old 45 records. Please Please Me really stood out and I quickly â¨decided I should get a proper Beatles album. I must have gone for Yellow Submarine having recognised the title track and the cartoon image on theâ¨ cover. â¨Riding home from the local Woolworths, I enjoyed the first side of my brand â¨new cassette. Once home I soon popped on side B braced for another â¨collection of fantastic pop songs. But I was greeted by track after track â¨of classical soundtrack instead. My excitement quickly turned into â¨disappointment. I had been so eager to buy my first Beatles album and I â¨felt short-changed with only six âproperâ songs. â¨I pestered my ever so grumpy dad into taking me back to the shop justâ¨ before closing time. Thankfully they allowed me to exchange it, so I thenâ¨ had the task of picking the right album. After some deliberation I went for â¨Rubber Soul. A choice I never regretted. Although it has some challengingâ¨ moments, on the whole the music captivated and inspired me. It wasnât long â¨before my Beatles collection grew, and yes, I did eventually re-purchase â¨Yellow Submarineâ¦ although I never make it to side B.â¨ Amit Sharma - Ex Libras Jean Michel Jarre: Oxygene I'm not going to answer this conventionally. We all can relate music to an experience or memory - a long drive, a night out with mates. I knew a girl who couldn't listen to Sigur Ros because it reminded her too much of a bad relationship. There's always a song that reminds us of a season gone, a kiss, an opportunity - taken or missed. We integrate music into every facet of our lives - Birthdays, parties, shopping, weddings, funeral, ring-tones... the list goes on. We're chemicals wrapped in skin' baby. Experiences that cause reactions, emotionally or physically, induce chemical change. Electrical impulses fire in the brain, synapses link and form circuits that 'link' the experience to its factors - sorta, kinda, blah blah blah... ...and BANG! that is it! Right there... Now, I know talking about the relationship between music, experiences, the brain and chemical change is possibly the least romantic way of looking at this, but when you get the chance, just dwell on this; Music we love... I mean REALLY love, is often related to a period in our lives that is also just as important! They are those unique few moments that give our lives meaning, direction, define our musical tastes - for good or for bad. I'm not trying to cheapen music and the listening experience, quite the opposite. We're all biased and elitist and none of us have heard it ALL. So to me, it isn't a question of what you should listen to, but HOW you should listen to it. Given the right combination of factors music can elevate the mundane to the sublime and create something worth savouring for years to come. In an age of disposable music, that would really be something, right? My First Album...? When I was a child, my father used to play me records (vinyl) by artists like Jean Michel Jarre and Tangerine Dream. 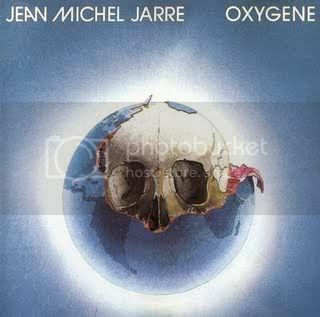 One that stands out is - Oxygene by Jean Michel Jarre. As a baby I never used to cry or complain. I was a quiet child, often happy to eat, play, sleep and listen to music. If anything, I was happiest with a set of headphones wrapped around my head - I guess some things never change. 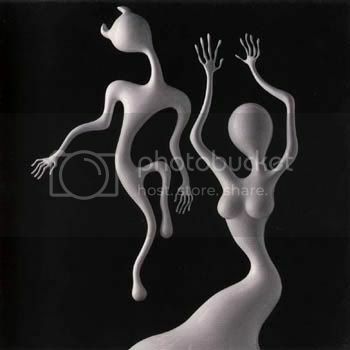 Scott â The Brothers Movement Spiritualized: Lazer Guided Melodies The album I pick is Lazer Guided Melodies by Spiritualized. What I took from the album is its simplicity and it taught me a lot with how to treat making music, although there is a lot more on this record than on Jason Spaceman's previous records with his band, Spacemen 3, (As I believe sonic boom only wanted what they could reproduce live going on to spacemen records) so I get a real sense of freedom with this album, as if it is the first time he could 'really' do what he liked and didn't have to worry about reproducing every note on it in the future to a live audience. The title also says a lot about its content, its simple deep-rooted music that is layered with electronic tones, drones and fuzzed up melodies. The album also was intentionally split into 3 parts, as that's the way it was recorded but somehow it just flows beautifully from start to finish with a wide range of feelings and moods throughout the journey. If you listen hard enough to this album you can hear his influences but they are very deep rooted and you have to know what you are looking for, as he has gotten ideas from other music, but pushed his way far from the original idea to finish up with what only sounds like a fresh new sound that can only be Spiritualized. Lazer Guided Melodies has songs on it that can be called 'drone music' but also has songs that sound like 'dance music' and what's in between is everything from jazz fusion to eclectic rock, so frankly its a record for music lovers from every genre. So I definitely recommend you to take a hour out of your day to enjoy this beautiful record. Enjoy!